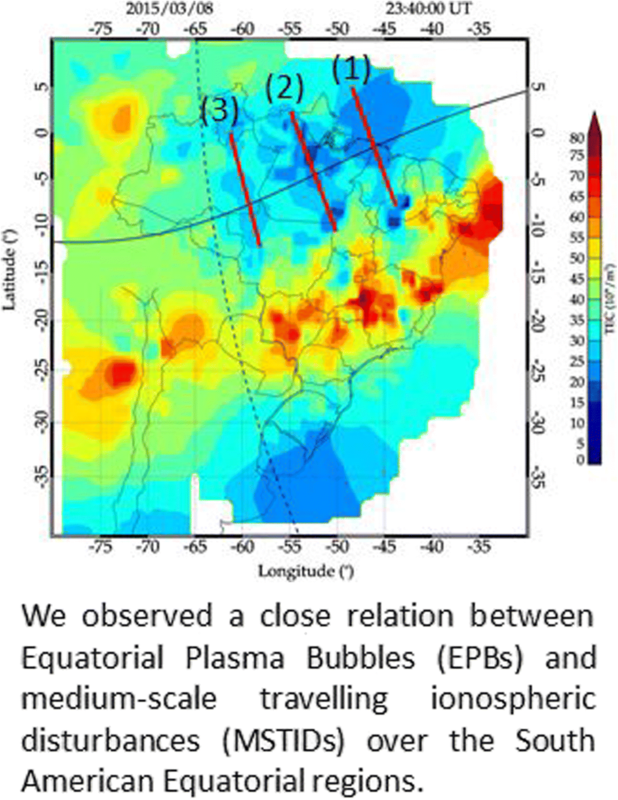 Ionospheric Equatorial Plasma Bubbles (EPBs) have been the subject of extensive research during the past few decades. The generation, development and temporal and spatial variations of EPBs have been investigated experimentally using a number of different observational techniques and also studied theoretically by numerical simulation. Despite these efforts, there are still many unanswered questions about EPB seeding and development. External forces such as ionospheric gravity waves and solar terminator and/or geomagnetic storms have been considered as possible sources for EPB seeding. Current theories, however, have not been able to explain completely all the observed features in EPB occurrence. The prediction of EPBs, as a part of space weather initiatives, is still a complex subject of investigation. 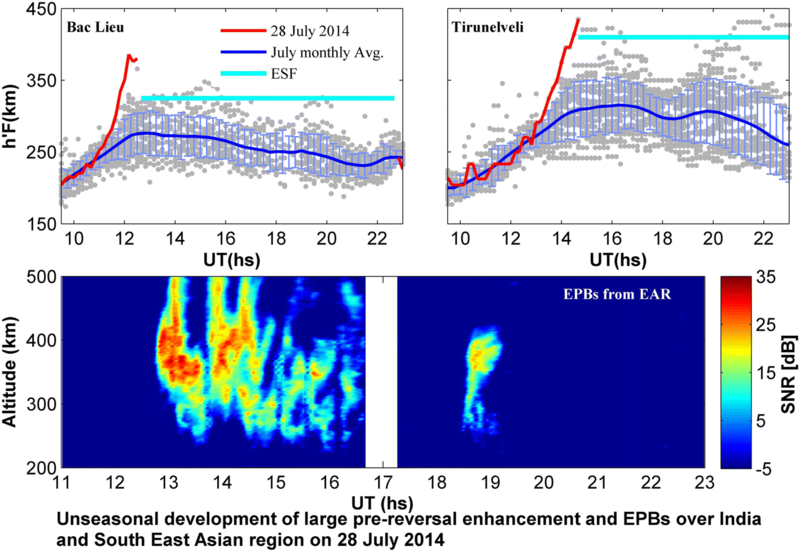 Unseasonal development of post-sunset F-region irregularities over Southeast Asia on 28 July 2014: 2. Forcing from below? 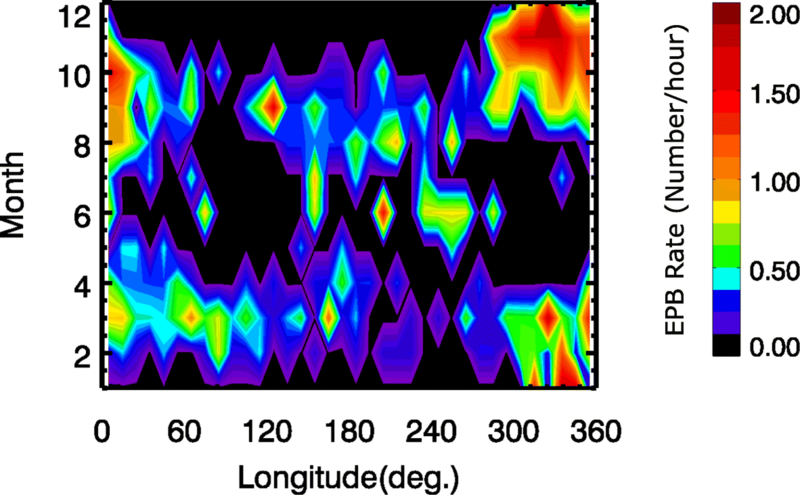 Post-sunset rise of equatorial F layer—or upwelling growth? 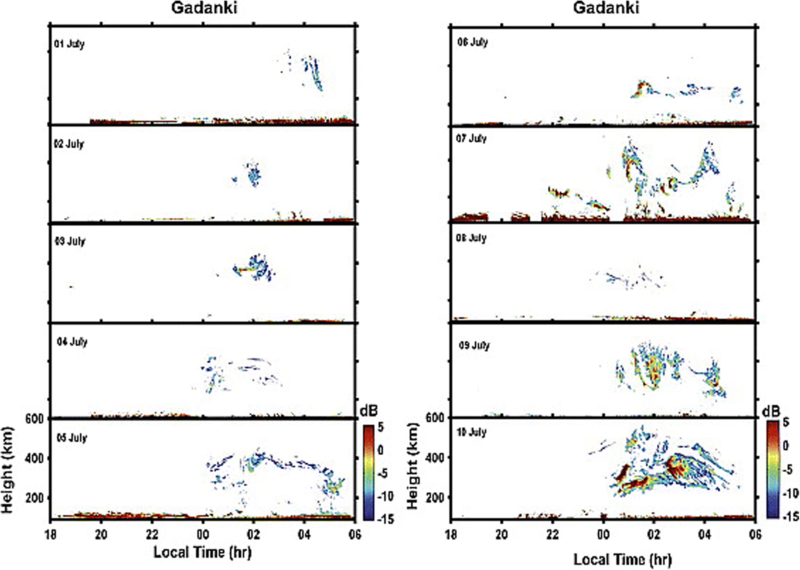 Unseasonal development of post-sunset F-region irregularities over Southeast Asia on 28 July 2014: 1. Forcing from above?